This is a tole painted light house clock . These clocks are very rare to find as a full scale real antique. I love the whimsical look. This clock stand 5.75 inches tall with gold leaf painted accents of a Greek key motif and a floral wreath. 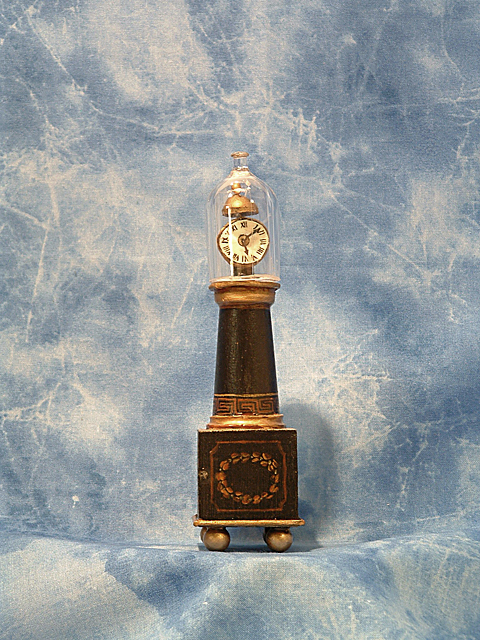 it has an acrylic dome covering the exposed clockworks.Unfortunately this clock doesn’t work but what a unusual addition to your miniature collection .